Columbia has never known as a particularly adventurous record label, but in the late '50s the company did embark on a visionary experiment that resulted in scores of interesting and unusual albums being issued. While many of the sessions were picked up from other companies, Columbia actually recorded quite a few of the sides themselves. The series was called, appropriately enough, "Adventures in Sound." It featured music from around the world, in all styles and varieties. "World music," in other words. It was one of the first serious efforts in that direction. But this is a jazz blog, so where's the jazz? Well, jazz is in the world and it's a music. 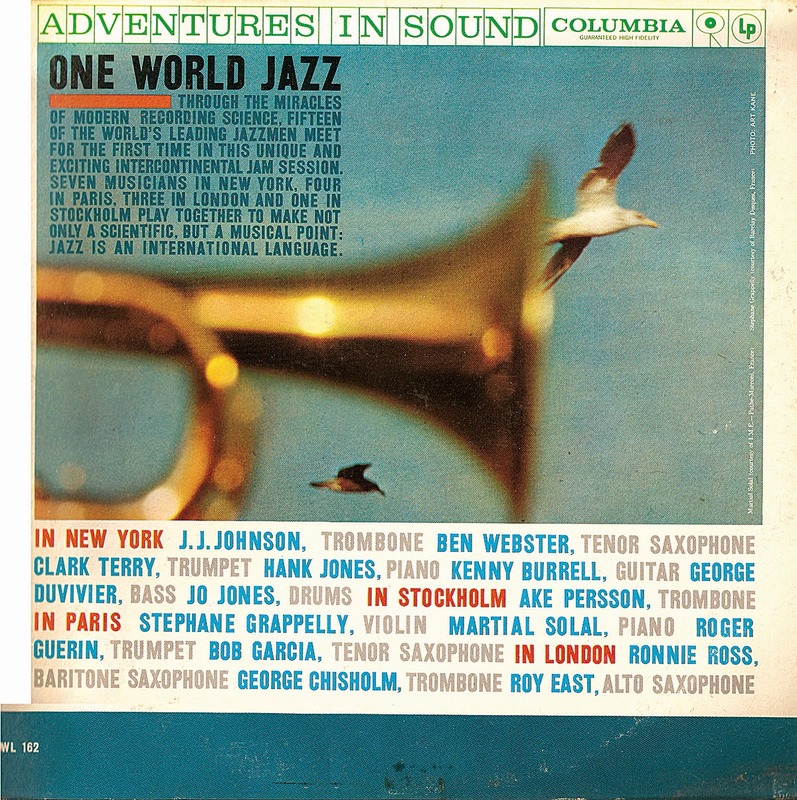 So Columbia released a jazz record on its "Adventures" label. 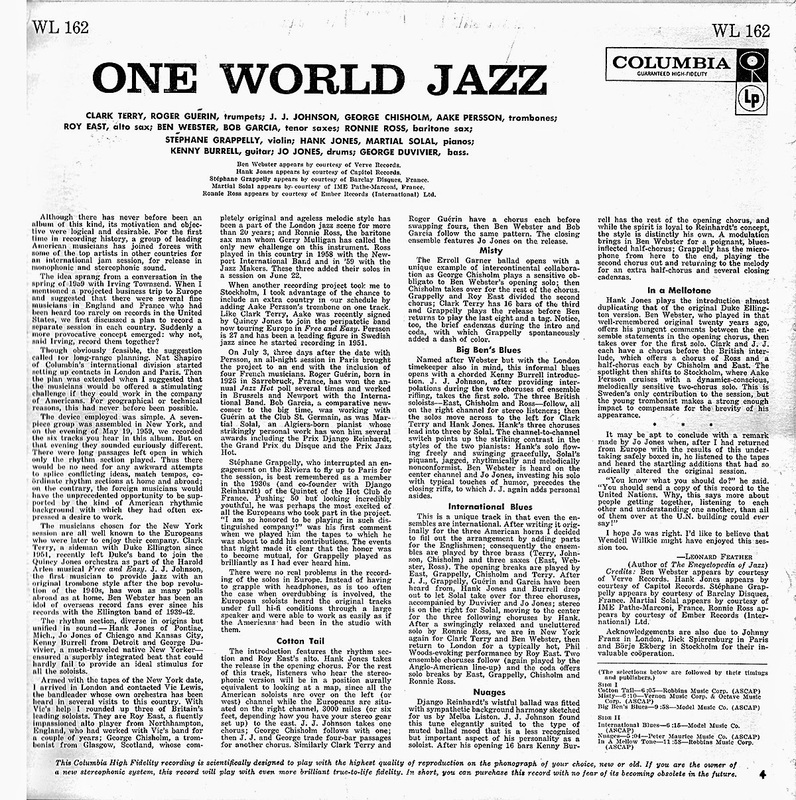 Just to make it more of a "world" recording, Irving Townsend, the producer, decided to record portions of the date in various locations around the globe with jazz players from the world over. Then he decided he'd mix the whole thing together into one happy whole back in the studio. Accordingly, he started in New York, and then journeyed to London, Stockholm and Paris, capturing jazz soloists as they added their choruses to the Big Apple-based rhythm section that played the original tracks. The result, appended here, is a lot less stultified than you might expect. It actually works, much to Mr. Townsend's credit. The interesting thing is, to my ears anyway, this sounds like a Ben Webster record. Three of the tunes are vehicles for the Gentle Giant, and he plays a significant role in the remaining three. So think of this recording as an obscure and overlooked entry in the Webster discography, and I think you'll be more than pleased that you downloaded it before the link invariably fails. The files come, as always, from the original vinyl with no cleaning of the sound needed. The photo on the cover, by the way, is by Art Kane. It's not very good, but Kane was a hotter-than-hot art director in those days. You may remember him as the guy who took that famous photo of 50+ jazz musicians all standing on or around a Harlem brownstone stoop back in the late '50s. Mr. Webster was one of them. 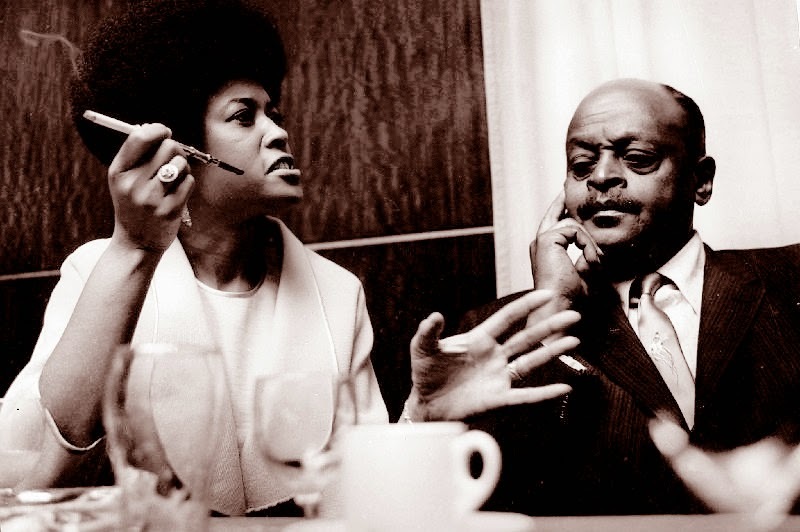 Clark Terry, Roger Guerin, tp; J.J. Johnson, George Chisholm, Aake Persson, tbn; Roy East, as; Ben Webster, Bob Garcia, ts; Ronnie Ross, bar; Stephane Grappelly, vi; Hank Jones, Martial Solal, p; Kenny Burrell, g; George Duvivier, b; Jo Jones, d.